I love when people take something traditional and turn it on it's head (well, except for my dislike of altering classic candy that I talked about in an earlier post), so I'm loving all these flavored salts from Barhyte. What a tasty way to jazz up, well, just about anything! I love the logo and colors, not to mention the yummy flavors. The chocolate variety is like the perfect sweet and salty paradise combined into one! Click here to check out the flavors and here to shop online. 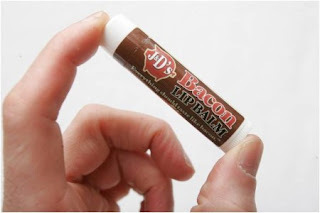 Btw, they also have bacon-flavored lip gloss for those of you out there who are really really into bacon. Click here to find store locations or to order online. I have some heather flavored salt that I don't know what to do with. 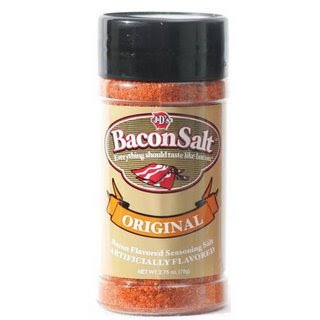 I am not surprised about bacon flavored salt, they seem to make bacon everything these days! 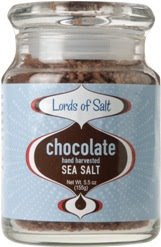 yum, chocolate salt? that is seriously awesome. Bacon chapstick, hahaha. Awesome. I think that's getting sent to my brother for Christmas this year. When I was a kid he would eat all of my candy flavored ones! As someone who just published a blog post on chocolate truffles with candied bacon bits, I have no problem with bacon salt whatsoever. :) In fact, I took home a sample-sized bag of it from a trade show. Good stuff. 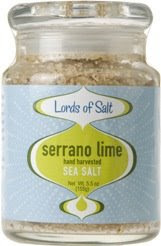 Not sure about the flavored sea salts, though. I'll have to try. Megan: Yeah, I'm almost over the bacon thing . . . almost!